The photo "Hidden Smile" of Vietnamese 70-year-old boat rower has been sold for US$30,000 at an auction, said the author of the picture, French photographer Réhahn Croquevielle. The owner of the photo is an overseas Vietnamese who is living in Melbourne, Australia. All proceeds of the sales of picture will be donated to build Co Tu Cultural Museum in Tay Giang District, the central coastal province of Quang Nam be opened for the public at the end of 2018, he added. The photo "Hidden Smile" has three copies measuring 1x1.5m of each. The second piece will be sold at a price of US$50,000. 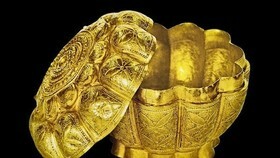 80 percent of the sale will be also support the construction of Co Tu Cultural Museum, the French photographer said. 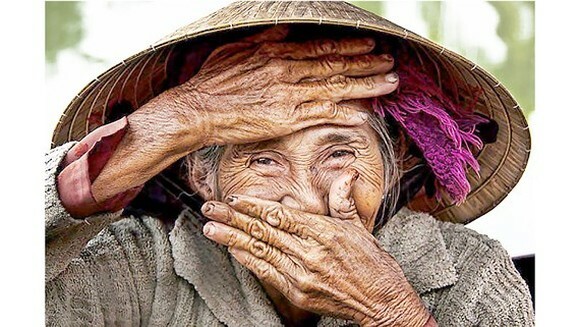 The photo "Hidden Smile" of over 70-year-old boat rower, Bui Thi Xong was published in the Los Angeles Times on December 1, 2014 and tabled with a caption "World's Most Beautiful Old Woman”. 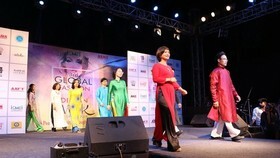 The photo has given notable impressions of visitors’ trips to Hoi An. Mrs. Bui Thi Xong lives in Hoi An Town’s Cam Nam Ward. The old boat rower told that she met the photographer in 2013 while rowing in Hoai River and the artist took her portrait. Réhahn is a photographer born in Normandy, France. 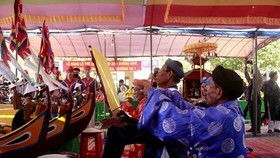 He has ever travelled to more than 35 countries prior to making Hoi An, central Vietnam, his home in 2011. He is particularly known for his portraits of Vietnam, Cuba and India, and the media regularly describes him as the photographer “who captures the soul of his models”. The photographer has taken more than 15,000 pictures capturing the cultural beauty of 45 of the 54 ethnic groups in Vietnam . 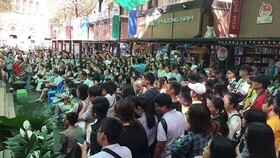 He released two volumes of the photography books, “Vietnam, Mosaic of Contrasts” depicting the country’s diversity. 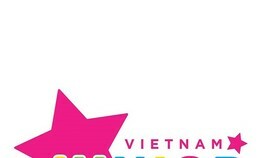 The book is a diary of his journey in Vietnam, capturing photos of Vietnamese people, culture, lifestyle. 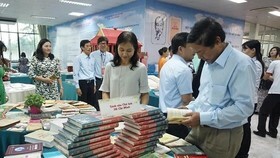 Best-seller in Vietnam, the book was sold in 29 countries. In January 2017, the artist inaugurated a Precious Heritage Gallery Museum in Hoi An ancient town in the central coastal province of Quang Nam. 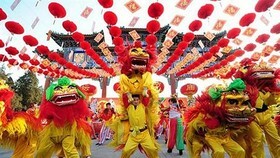 The museum displays more than 30 traditional Vietnamese costumes and 200 photos of the country’s heritages. Réhahn has many photographs that was published in more than 25 countries, and made the cover of several prestigious magazines such as Conde Nast Traveler, The Times and National Geographic.